Beauty and function. Wearable art that improves your health. Forms and materials that increase your awareness. These statements all describe healing jewelry. Bracelets, necklaces, pendants, rings and earrings that are designed to raise your energy levels and help you feel better. What kinds of healing jewelry are available? There are many kinds of health and wellness jewelry on the market. Most of them fall into one of these major categories. 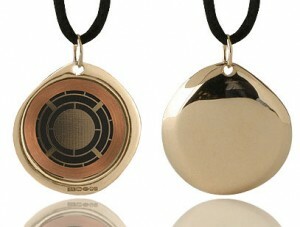 Magnetic healing jewelry – these pieces take advantages of the healing properties of magnets in their design. Most often magnets are used within bracelets. Magnets have a long history of being used for healing and have been shown to promote blood circulation on the area in which they are applied. Crystal healing jewelry – Who hasn’t enjoyed the beauty of a living crystal? Crystals are probably the most common type of wellness jewelry. Each type of crystal is thought to have a specific impact on your health. For example, a rose quartz crystal is said to be beneficial for the heart – both the physical organ and the spiritual heart. Crystals are most commonly found in necklaces. Keep in mind that crystals require cleaning after wearing – both physically and energetically. Precious and semi-precious stone healing jewelry – Different stones are also associated with health and wellbeing. Amber for example enjoys a long tradition of being used for protection and vitality. In Germanic and Celtic cultures it is commonly given to babies to wear. Jade is often worn by those seeking personal balance, harmony in their relationships and prosperity. Precious metal healing jewelry – Even simple metals like gold, silver and copper are believed by many cultures to posses special powers of protection and health. Gold, apart from being used in some medical contexts, is reported to boost concentration and mental focus. Silver in addition to supporting wealth and prosperity is indicated to boost the power of other gem stones. Copper has long been help to support proper functioning of the immune system. Sacred symbol healing jewelry – A combination of the elements above are often fashioned into sacred symbols such as mandalas, crosses or OM symbols that are meant to energetically boost the vibration of the wearer. There are many of these symbols available. My favorite kind of healing jewelry ever? I myself over the years have worn several types of pieces aimed at boosting health and healing. I’ve used magnetic bracelets, crystals and sacred shaped pendants. While some have had a more powerful effect than others, there is one piece that stands out as my favorite. I’ve worn this piece of jewelry now for over 3 years – everyday. Mine happens to be made of copper and titanium, but the manufacturer makes others from gold and silver. They are designed with a special technology to both protect the body from harmful electro- magnetic radiation as well as harmonize the energy system of the body. The name of the product is Q-Link. Final thoughts on healing jewelry. Whatever type of piece you choose stay open for changes. I know that before I found my q-link I wore a variety of pieces and changed them frequently.